Remarks: WELCOME HOME! 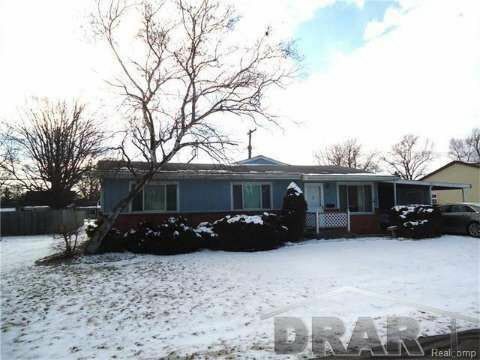 MOVE RIGHT IN TO THIS NICE 3 BEDROOM RANCH IN BAYCREST ASSOCIATION, A LAKE COMMUNITY. HOUSE IS ON DOUBLE LOT WITH BREEZEWAY/CARPORT THAT ATTACHES TO LARGE SHED WITH ELECTRIC. THE HOME FEATURES AN OPEN CONCEPT, NICE UPDATED KITCHEN AND BATH, FIRST FLOOR LAUNDRY, UPDATED ELECTRIC VINYL WINDOWS, INVITING LIVING ROOM AND HUGE FAMILY ROOM WITH GAS FIREPLACE AND DOORWALL LEADING TO PATIO AND NICE YARD. ALL APPLIANCES ARE INCLUDED. 1 YEAR HOME WARRANTY. ASSOCIATION INCLUDES CLUBHOUSE, PLAYGROUND, BASEBALL DIAMOND, PARK ALONG LAKE ERIE WITH WATER ACCESS. WITHIN MINUTES FROM BREST BAY MARINA. MOTIVATED SELLER, MAKE AN OFFER.